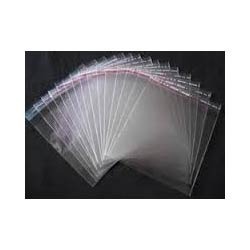 We have emerged as a well-known firm, engaged in providing a broad comprehensive assortment of Plain Seal Bag. We are providing these products at low costs. Incepted in the year 1978, we, V P Pack & Print is actively engaged in manufacturing and supplying a broad array of high-quality BOPP Bags, Laminated Rolls, Standy Zipper Pouches, Seal Bag, Diapers Packaging Bags, Printed Laminated Pouches and many more. These offered assortments are designed by taking high-grade components as per the well-defined industry norms. Our offered ranges of products are broadly demanded among the clients for their unique attributes like strong construction, high durability and optimum quality. We are offering these products as per the client specific need at the nominal market price range.